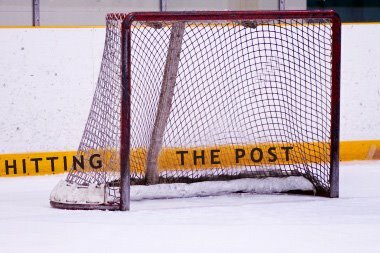 Hitting The Post: Where has all the goaltending gone? Ondrej Pavelec, Ryan Miller, Martin Brodeur, Mathieu Garon... what the hell happened? What an ugly night for these guys. After firing head coach MacLean, relieving him of the agony of coaching New Jersey and resulting in this scathing ESPN column by Scott Burnside, Lou Lamoriello watched his team get steamrolled, at home, by the other inept team in the league, the Islanders, by a 5-1 margin. Wow! The best part is New York had only 14 shots on goal. The game wasn't six minutes old before the Islanders - you remember them as the team that once lost 14 straight and won three of its last 24 games - jumped out to a 2-0 lead on a pair of goals by Josh Bailey. He later set up Frans Nielsen's shorthanded goal. John Tavares and Blake Comeau also scored for the Islanders. Dwayne Roloson made 34 saves. Travis Zajac scored just his fourth goal of the season - part of New Jersey's problem - as the Devils rightfully earned sole possession of worst in the league. Has Martin Brodeur ever played a complete game and finished with a single-digit save total? Hell, or ANY goalie? 60 minutes, fewer than 10 saves? How does that happen? This is rock-bottom for the Devils, right? I can't stop asking rhetorical questions? I just looked it up. Brodeur had a nine-save shutout on Dec. 4, 2003, in a 3-0 victory over Washington. (Or as most Caps fans call it: Before Hockey Existed.) Jaromir Jagr, Peter Bondra and Sergei Gonchar were still playing for Washington. New Jersey got goals from Paul Martin, Turner Stevenson and Jeff Friesen. Wow. Scotts Niedermayer and Stevens were still Devils, as were Brians Gionta and Rafalski. In goal for Washington that game: Olaf Kolzig. The shot total was 41-9. Yikes, he did it again. This time it was a loss, 2-1 to Carolina, on Oct. 29, 2002. Shots were 35-11 in favor of New Jersey. Shots in the third period: 7-0. Friesen scored for the Devils and Carolina got goals from Jaroslav Svoboda and Jeff O'Neill. Rod Brind'Amour was still a Hurricane, and still ugly. Ron Francis, Ken Daneyko and Joe Nieuwendyk were still playing. Those games were so long ago, ties still existed. My resources stopped at the 2001-02 season. --Ryan Miller conceded three first-period goals and Buffalo fell to Florida, 4-3. Christopher Higgins scored twice and Tomas Vokoun made 45 saves for the Panthers. --One of the hotter teams and goalies in the league ended up with more fighting majors than good performances. Shawn Thornton scored twice as Boston rolled over Ondrej Pavelec and Atlanta, 4-1. A good ole line brawl occurred with four minutes left, including a fight by Marc Savard, who probably shouldn't have done that. Tim Thomas made 26 saves. --He doesn't have the pedigree of some other guys in this post so far, but Mathieu Garon has been an excellent goaltender this year. Then he went out and allowed six goals in 33 minutes as Vancouver blasted Columbus, 7-3. Henrik Sedin had a goal and three assists, Daniel Sedin and Alex Burrows each had one and two, Raffi Torres scored twice and Cory Schneider made 24 saves for the Canucks. R.J. Umberger had two goals for Columbus. --Maybe Chris Osgood will never get that 400th win. St. Louis scored four times against Osgood on just 25 shots and held on to take down Detroit, 4-3. Patrik Berglund scored twice and Jaroslav Halak made 35 saves for the Blues. --Power play goals by Andrei Kostitsyn and Alexandre Picard 2:03 apart on a major power play turned a 2-1 Montreal deficit into a 3-2 Canadiens victory over Carolina. Scott Gomez had a goal and assist and Carey Price made 22 saves. --San Jose scored three power play goals and knocked off Phoenix, 4-1. Patrick Marleau (two goals) and Joe Thornton (one) each had three points, Joe Pavelski recorded two assists and Antti Niemi made 24 saves. --Nick Foligno's power play goal proved to be the difference as Ottawa took down Nashville, 2-1. Brian Elliott made 25 saves. Niklas Backstrom allowed just one goal for the third straight game and Matt Cullen scored twice, once shorthanded, to help Minnesota down Colorado, 3-1. Backstrom made 36 saves for the Wild, who have won three straight. --Coupled with Washington's shootout loss earlier transcribed, Tampa Bay took over the Southeast Division lead after an 11-round shootout win over the Rangers, 4-3. The who's-who of shootout scorers were Erik Christensen and Mats Zuccarello (New York), and Victor Hedman, Adam Hall and Ryan Malone (winner) for Tampa Bay. Martin St. Louis had a goal and assist and Steven Stamkos scored his 27th goal for the Lightning. Dan Ellis made 34 saves. --Alex Tanguay scored with 1:21 left in regulation to force overtime, then netted the only shootout goal to give Calgary an improbable 3-2 win over Dallas. Miikka Kiprusoff was not busy, needing to make just 14 saves. Mike Ribeiro had a goal and assist for the Stars. --Jarret Stoll's goal in the sixth round gave Los Angeles a 3-2 win over Edmonton. Jack Johnson had a goal and assist and Jon Quick made 27 saves for the Kings. Happy holidays! Enjoy the two days of no hockey. Or mourn them as you'll have to spend it with your families. Whichever suits you best. I want Osgood to die on 399 because he said in an interview that he wanted to hit the milestone and some other "it's all about me" stuff a couple years ago. I've never gotten the "he's better than he gets credit for" talk. I missed those things he said. He's not a top five goalie in history, probably not top 10, maybe not even top 15. I'd have to research my goalies. But when I see people talk about him, they talk about him like he's Vesa Toskala. I'll grant that a lot of his Ws are a product of being in Detroit, but those few years when he left, he won more games than he lost, and he's got to be doing something right to merit Ken Holland's faith, especially in the playoffs. Dominik Hasek couldn't cut it for the Wings in 2008, they turned to Osgood. Well, OK, he's not doing anything right over the last two seasons. He might be a douchebag, and might not be a goalie anyone wants to pick to win one game, but people could do worse than him. Believe me, I'm not trying to put him on a pedestal. I just don't think he should be buried either, unless you choose to on grounds of morality and his me-first attitude, which I won't argue against. I think he deserves a spot at the table just based on his career stats alone. But that's also what rubs me the wrong way about him: his numbers were good enough, so telling me you're all about the numbers was unnecessary and only served to put me off a bit. I can't discredit him too much for maybe benefitting from playing on goalie-friendly teams - I'm a Wild fan. We were all about goalie-friendly under Lemaire. There's no "Like" button for me to click for your comment like Facebook has.